Apparently Seattle has become corrupt and dangerous just like Gotham, but don't fear just yet because where crime is...there can also be found Phoenix Jones Guardian of Seattle. Phoenix Jones is just your average citizen with some body armor and some fight training going out in costume to do good. He apparently isn't the only one either, being joined by Thorn, Green Reaper, Gemini, Catastrophe, and Buster Doe among others calling themselves the Rain City Superhero Movement. Unfortunately Benjamin Fodor (aka Phoenix Jones) made headlines in a bad way this week as he is being charged for assaulting some people with one of his high tech gadgets...pepper spray (Seattle Superhero Arrested). You can also read more articles about Phoenix Jones @ www.seattlepi.com. There is supposed to be a decision on this case come Thursday and until then his costume has been confiscated. Our capes are off to you Phoenix, may you forever continue with vigilante justice and the Batman way. With more and more superheros surfacing, I believe it will be only a matter of time 'till America's Superman will reveal himself to us. Until then, keep your eyes to the skies and be aware of any new newspaper writers in your area. My thanks to all you superheros out there who are keeping our streets clean. 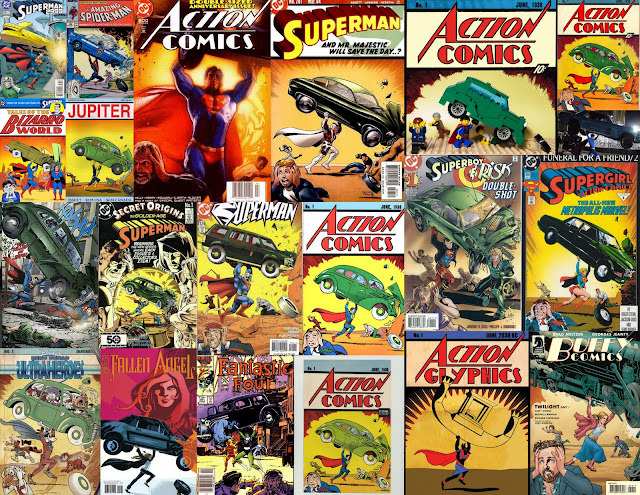 If only I had millions of dollars to spend on a comic book. 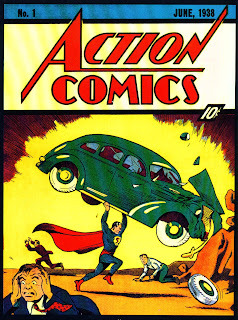 This Action Comics #1 (the first appearance of Superman) is the best known condition and could be auctioned off for 2 million dollars. This comic recently (April of this year) was recovered from being lost to the world. It was stolen back in 2000 time frame and now is to be auctioned off to the highest bidder. Nicolas Cage (the previous owner who had his copy stolen) is hoping to have it returned to him, but it looks like a sticky situation. Action Comics #1 will forever live on, and for around 2 million you could have the comic that started it all. Not a bad investment if you ask me. Good grief Charlie Brown? How about good grief Clark Kent...and that is How Lou Sees It! "Be aware of any new newspaper writers in your area." I will good sir, I will.